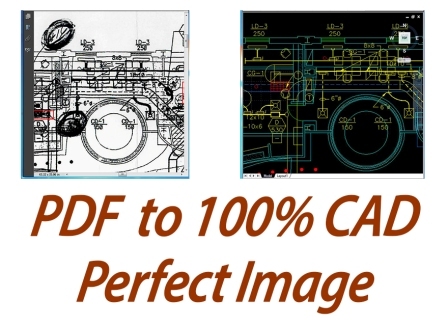 We scan all paper document sizes! Standard letter size pages, legal and double-letter size, books, plans/maps, and index cards. We can pick up your documents! One box or hundreds of drawers...any quantity! Rush and Emergency scanning welcome. With our experienced staff and our own equipment, we travel-setup-scan at your facility. On-site rush or emergency scanning available. Projects from one day to over one year. On-site scanning and pick-up available! We'll migrate you to ELN's (Electronic Lab Notebooks)! Text search (OCR) included for typed data! Accurate, fast turnaround, all for the same low cost! Contact us today! Free Project Assessment - Click Here! 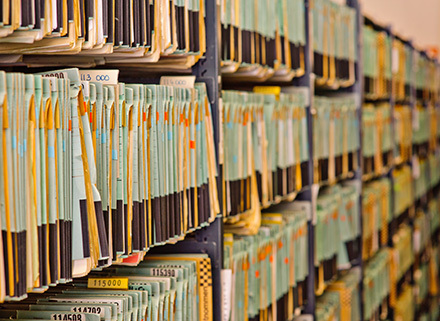 Let Us Scan Your Paper Files Today! Give us a call at: 781-245-1050. You will find us knowledgeable and easy to work with. For over 25 years we have been providing safe, secure and reliable scanning services. 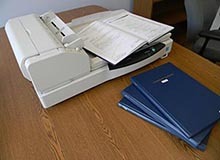 We are equipped to handle any document scanning project including Rush or Emergency jobs and "on-site" work usually within a 24-48 hour notice. We scan documents ranging in size from index card and letter/legal size pages up to blueprints and maps! 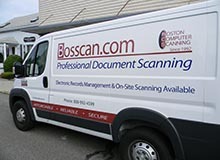 Let Bosscan take your paper filing system and scan in your documents for you to access anytime, anywhere. If you are overwhelmed and unsure of where to start, take a look at our case studies from actual projects that we've worked on, then call us 781-245-1050 to discuss your project. At Boston Computer Scanning, we take the time to listen and work WITH you to create a solution that works FOR you.